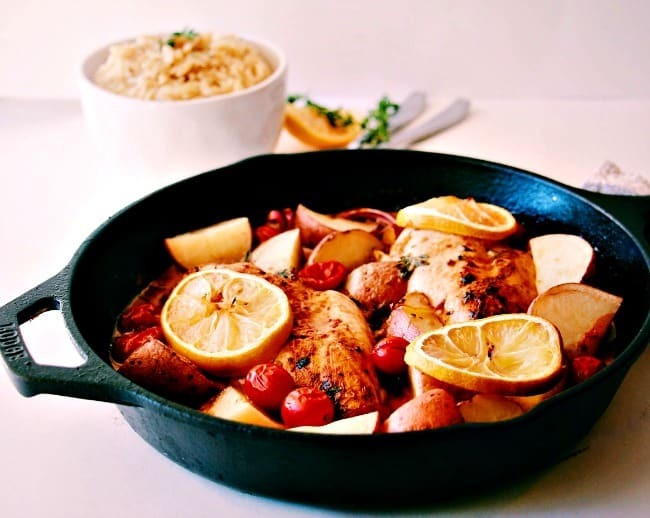 Ok, so I don’t know whether it’s the perfectly cooked chicken, the perfectly cooked baby potatoes, the little bursts of flavor from the cherry tomatoes, the zing of the lemon or the ABSOLUTE deliciousness of the cream sauce….but this lemon garlic butter chicken rocks. 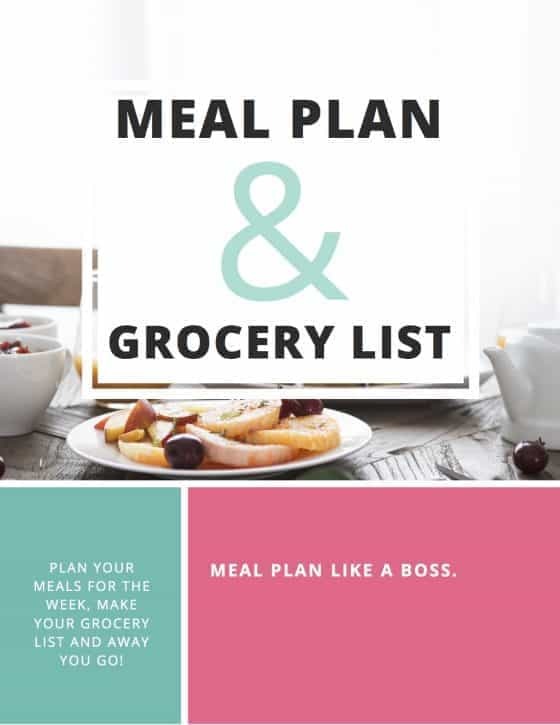 This recipe has been updated from the original October 2015 version in order to provide a better experience for our readers. Seriously, it is worth the terrible skin-peeling burns I gave myself on the chest to make it. Note to self: don’t absent-mindedly throw some onions into a hot pan of butter and chicken…the subsequent splash is going to hurt like hell. Especially when you hit the salt water in Hawaii the next weekend. Ouch. 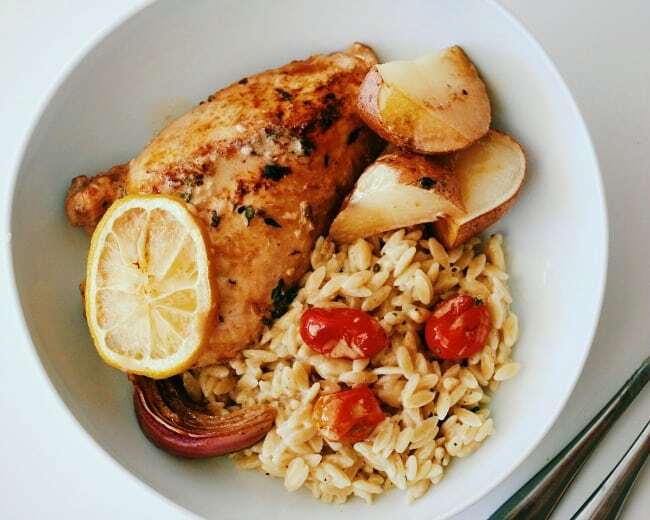 So What Makes This Lemon Garlic Butter Chicken So Good? Back to this scrumptious little dish. When I tell people I have a food blog, they always ask what recipe they should check out. If you asked me in Summer I would say my Summer Stone Fruit and Spinach Strawberry Pecan Salad for sure. Now that its Fall and this deliciousness has come from my kitchen – this is THE recipe I would point you towards. It can all be made in one pan, with about ten minutes of prep work; the rest is oven time, so you are free to go do whatever the hey you want. It’s still got a little hint of warmer weather in there, with those great little pops of flavor from the cherry tomatoes, but leaning towards the coolness of Fall with those potatoes and the creamy sauce. How Should I Serve This Up? 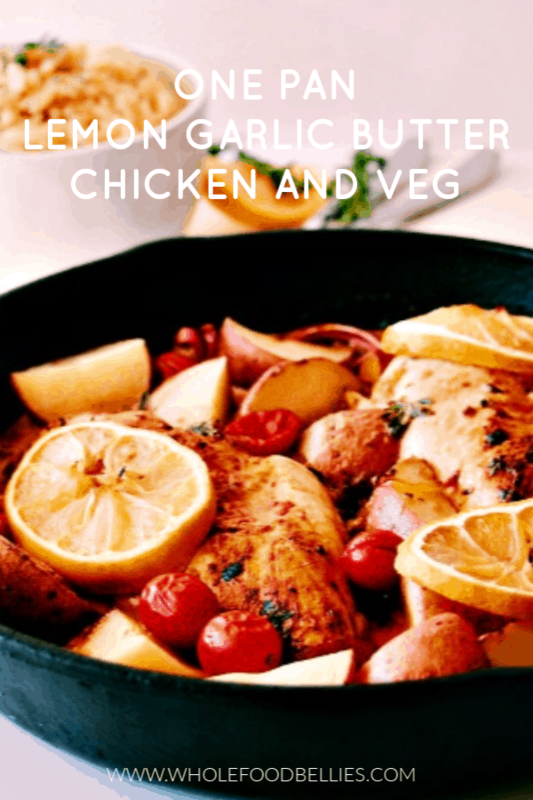 I could harp on all day about how much I love this lemon garlic butter chicken dish (can you tell I am excited? ), but just go try it out and see for yourself. I promise you won’t be disappointed. I tend to serve this up with this Creamy Parmesan and Vegetable Orzo. or a simple side salad. 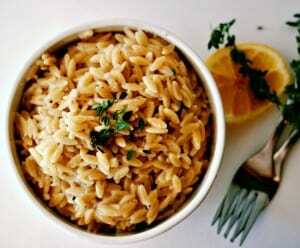 If you want to keep the carbs down then this also pairs really well with Broccoli Rice. 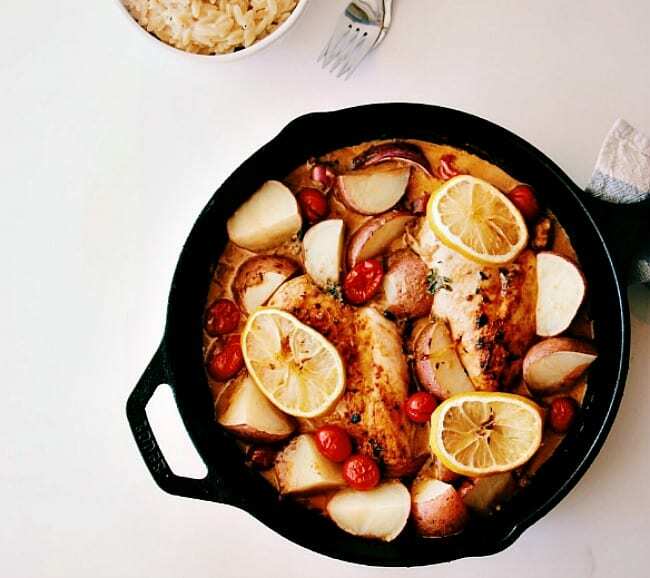 Everything cooks together in one pot and comes out total perfection. Still showing a hint of summer with little pops of flavour from cherry tomato, but hinting at the cooler weather to come with perfectly roasted chicken and potatoes in a creamy sauce. Can you make this with chicken thighs? I find that chicken breast tends to get really dry when baked. I haven’t actually tried it with chicken thighs, although you could definitely do it, you will just need to adjust the cooking time. 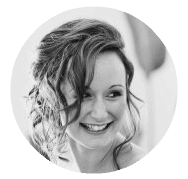 I would love to hear how you go! If it helps, I have made this about 10 times and never ended up with dry chicken breasts! we are making this tonight! Looks a,axing. Yay 🙂 I hope you enjoy!! 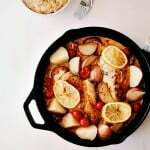 I love food cooked in cast iron and your chicken looks absolutely picture perfect! Oh tell me about it Marissa, I am always burning or cutting myself, I swear I go through more band-aids now than I ever did as a kid! This one hurt though, right on the chest and so visible! Such a delicious and healthy meal.. I must get a similar skillet. Been wanting to get one since a long time. Goodness me, that looks amazing! This looks amazing. .. These are bone in? Skinless? Thanks! Can’t wait to try! I do love a good seasonal one pot – and this is perfect for autumn, lots and lots of flavour and really easy to make too. 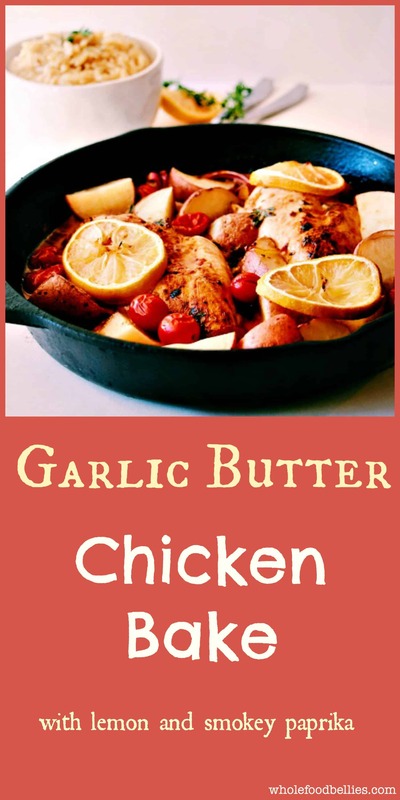 Yes, this garlic butter chicken bake is definitely a delicious comfort food! 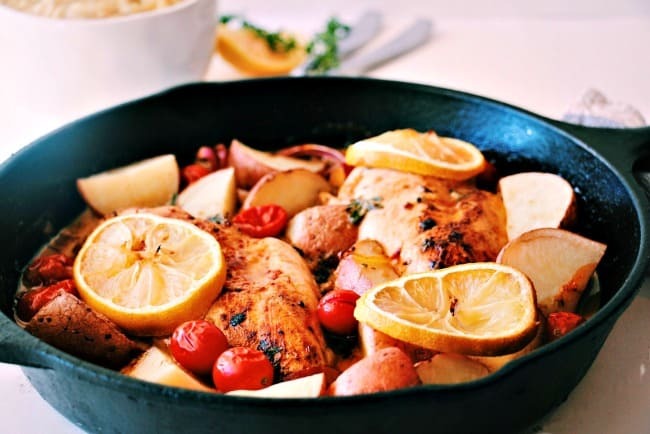 Chicken and potatoes goes wonderfully together! And made in one pan, wow, I know I will be making this! Thanks for the recipe! Thanks Camilla, I hope you give it a go!